It is Spring Break in my neck of the woods in Utah and both my boys have been loving it. One teen sleeps all day and the other snowboards. They really are in heaven...until today. We didn't go anywhere due to work, that their dad is out of town and finances. I opted to spend money by taking them out to eat at different places around the city, rather than spend money on gas and hotel and activities. They were really quite pleased with the idea, since one didn't want to miss out on the slopes and then other likes sleeping in. We've had 4 days of eating out while our food hung out in our refrigerator, forgotten. This morning I opened my refrigerator to see what I was going to make for dinner tonight and if I needed to stop by the store. I was delighted, as I always am when I see this, that my produce was still fresh and yummy looking, sitting ever so nicely in the cripser drawers. It almost seemed a shame to disturb them, and so I closed the door and made the decision to add one more day of eating out to the list, since school isn't back in session for two more days. And I know it will be fine...I have Bluapples in my refrigerator. The milk, however, I had to toss this morning. I wish there was a product out there to save that! This weekend is when they are really going to freak. It has been a long winter and our home is in need of a fresh start. The weather is beautiful, my husband is out of town and it seems like the perfect time to get some real deep cleaning done. And of course, it goes along with Spring Break...right? Spring Cleaning! I am excited for this. There is just something wonderful about knowing your light switch plates just had a bath. The link below is a website that gives a very useful list of what to clean. I find it to be helpful and will be using it this Saturday. Maybe you will too. 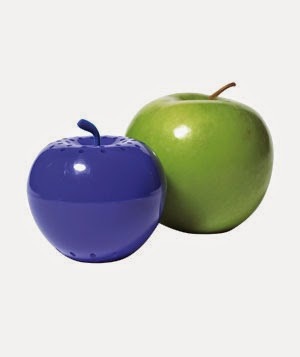 How do you store an organic green apple that was purchased at the farmers market on a Sunday, so that it has the highest chance of survival past one day? Use a Bluapple, of course! But what about questions on WHERE to store it, and at what TEMPERATURE? Should it be stored in the refrigerator, or on the counter top with other produce? The Bluapple website has those answers and more. We have almost 200 different fruits and vegetables listed with information on how to store them properly. It is easy to use. Either scroll through the list and click on the item you see, or use the search bar and find what you are looking for. We call it PRODUCEOLOGY, understanding how to store your fruits and vegetables. Head on over to our website to learn more. Save the link for future reference when putting away your fresh produce. 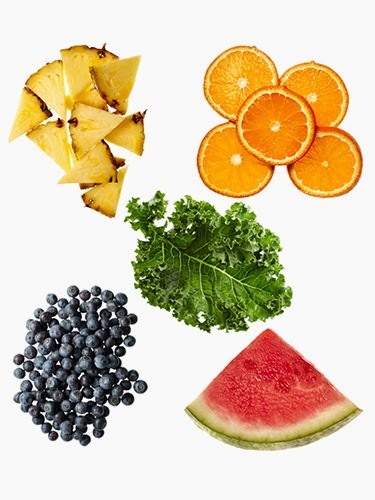 Lean how to save money, reduce waste, eat better at www.thebluapple.com. I have packed my kids their school lunches since 2nd grade. My now 18 year old son was diagnosed as a type 1 diabetic when he was eight. And so, I started packing him his lunch to ensure that he was getting a healthy low-carb meal. Son number two came along, and since he'd always seen me packing his brothers lunch, he knew no different. Brown Bags were as normal as a back-pack. I have probably purchased at least 9-10 different lunch boxes per kid over the years, due to them being lost or just worn out, or not as cool because "6th graders don't take space aliens on lunch boxes mom." They were almost always dirty, with food stains and sometimes a terrible smell for a few days as the left-over milk carton that didn't get thrown out on Friday smell goes away. But...I discovered these cute lunch boxes at a trade show over the weekend. They are eco-friendly, reusable, safe, fun, creative and above all...very useful. Had these been around back when my boys were little, I would have used them! I could have put some ketchup in with some baked potato fries and kept a salad fresh and looking yummy to eat, rather than a boring PBJ sandwich a a piece of fruit. Check out their website and FB page. I got a set to give to my little niece this weekend. It is nice enough now for us to take our lunch to the park. And how perfect are these little boxes? Perfectly perfect. I cleaned out my closet yesterday. I had in my head that I was going to donate all my summer clothes that don't fit me right now and let go and live, quit trying to be skinny, just breathe. The pile was getting bigger and bigger. I was a little ashamed about how many pairs of jeans I owned. Especially for someone who doesn't wear jeans very often. I had a lot of shorts, a few skirts and two t-shirts that I love, but now roll up over my belly button every few minuets when I wear them. I put them into a big pile ready to bag them up and haul them to Goodwill...and then I paused. I took a moment to consider my actions. First of all, I had hundreds of dollars in clothing, perfectly good clothing piled up on the floor, to discard because...??? I didn't want to lose weight? Yes. But the foundation of that thought was I wanted to continue to be lazy. I don't exercise. Ever. Not even a walk around the block, unless it is to catch a bus. I help myself to seconds at dinner because I can, not because I am actually hungry. These are two very bad habits. If I changed two bad habits, the few inches keeping me from wearing all that I already own would be gone. It would take 3-5 days running (which I used to do all the time) and then being more aware of what I am eating. How hard would that be? How healthy would that be? How economical would that be? Very. And so...I left my clothing in a neat stacked pile and placed a pretty bow on top. They are a present for me next month when I can wear them because I decided to be healthy, rather than lazy. And I AM being lazy. I'm wearing yoga pants right now. I haven't done yoga in over a year! I take the time to eat healthy, to prepare delicious dinners that my family will love. I can do the same for myself, to take the time to BE healthy and keep my body in a condition to live strong, live long. I love mashed potatoes. I usually make more than anyone can or wants to eat. And to be honest, my kids don't love them as much as I do. I not only love them for the taste, but also for how easy they are to add to any main dish as a side meal. If I don't have a lot of the main meal for everyone to fill up on, these lovely vegetables do the trick of filling up kids while tasting delicious. Serving them more than once a week however gets a little old. So I found a solution that makes everyone happy...even me! These potato cakes make my mashed potatoes the main meal now, with a side of other vegetables and a fruit smoothie completing the meal. It is a nice break from meat while adding variety to our dinner menu. And my 13 year old thinks they are fun to make. ANYTHING that gets him in the kitchen with me to hang out by choice, instead of him setting the table and waiting in the living room with the TV is a win. We've tried these with sour cream, baked beans, white sauce and plain. They are always a hit! 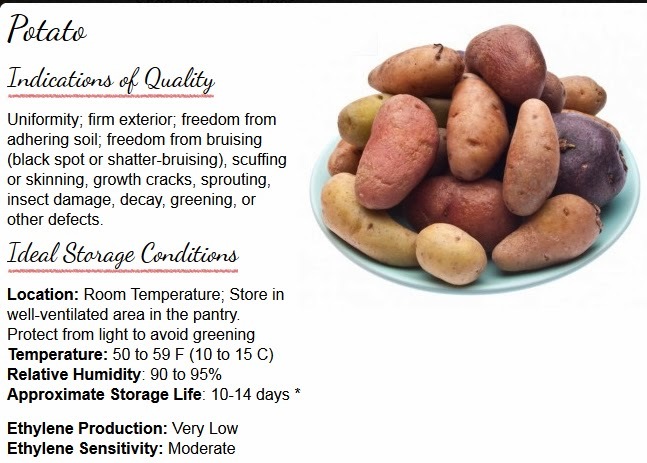 Do you know how to store your potatoes until they are ready to be peeled, cut, boiled and mashed? Sunday Morning Cereal With a Side of Cinnamon Rolls! I know what you are thinking. Sunday morning cereal IS NOT A BREAKFAST. And so, since it is Sunday and I do not feel like doing anything other than watching snowboard videos with my teen, catching up with friends on Facebook and then getting ready to go out on a hike with the kids into the beautiful mountains, I think a bowl of cereal in front of them is appropriate while I prepare what is to be our glue that brings us together tonight...Cinnamon Rolls. This recipe is called "Overnight"...but since I am making these at 7 am, they will be ready to enjoy tonight at 8 pm, right before we head off to bed. (I cut a little time off of the refrigerator part...no biggie.) They are the perfect treat to gobble up while we talk about our day in the mountains and what our adventures for the upcoming week might be. Ah Friday! How I have looked forward to you, an evening with no rush to get to bed early in order to function the next day! Just a nice evening of cooking at home, settling down to a night of family free time, each of us involved in our different interests, but all in the same room. Don't get me wrong, I love going out on a date with my husband on the weekends. But sometimes ( a lot of times) I also enjoy a stress free night of making something delicious and enjoying the company of my family that I love. It makes me feel all fantastic inside. It is perfect. And a dinner idea that everyone loves, to help set the mood, is an easy click away. These recipes on the Opera Website are fantastic! I haven't ever added a tomato to my grilled cheese sandwich. I think I will tonight! Valentine's Day is coming up. It is a given that chocolates and flowers will be lovingly handed out more than usual, but what about cookies? I love cookies. They are easy to make, delightful to eat. We all have our favorites, the old standby that when offered a choice, we will usually reach for. My favorite is Chocolate Chip. Yum! That being said, for holidays like Valentines Day, a variety of cookies, or something different than the usual chocolate chip cookie, can be fun to make and give. I love strawberries. I love chocolate. I love to make things pretty. Chocolate covered strawberries are the perfect gift giving idea for me, as not only do I get to experience the joy of giving SOMETHING I love to SOMEONE I love, but I get to be creative and eat a few samples along the way. I have a son who is always need of being active and playing outside, and always in need of his hands to be washed. All I have to do to get him cleaned and indoors for an afternoon with me is to suggest that we create some art as we make these delicious treats for our loved ones. His hands are washed in moments and we spend an afternoon talking, laughing and eating while we make memories in the form of chocolate covered strawberries. It is Sunday afternoon. It is cold. There is snow. And there is nothing delicious to eat for lunch, unless the cereal KRAVE counts, which according to my 13 year old...it does. So I look around my kitchen trying to come up with something that will melt in my mouth while I cuddle up to a good book. I've just gotten back from dropping off my youngest at the ski mountain for the afternoon. Had I been thinking, I'd have picked up some lunch on my way home. All I was thinking was how good it would be to get back home where it was warm, kick off my boots and make it a "Sweat Pants Sunday." And after I pour my coffee it hits me. "This coffee would taste better with something dipped in it." And so I look around my kitchen and consider making cinnamon rolls. However, I do not know where my Betty Crocker hat is, nor do I want to wait three hours. And then I see the bananas on the countertop. My perfectly yellow bananas. Perfect to peel and eat. Not perfect to mash them up and make them into banana bread. No problem. I can bake them at 300 degrees on a lined baking sheet for about 40 min. I then let them cool about 20 min. This makes the banana perfect to use in baking. They are sweet and soft and perfect. While the bananas are baking, I mix up my butter, sugar and eggs, along with my flour, baking soda and water. I also add chocolate chips and walnuts, because not doing so really should be a crime. I do some dishes, check out Facebook, brush my teeth and take the bananas out to cool. Twenty minutes seems to long and so I put the baking sheet of bananas outside on the snow for 15 minutes. Yeah, I break rules like that. I peel the bananas, mush them with a fork, fold them into my batter and drop spoonfuls into muffin tins. (I also sprinkle a little brown sugar that has been mixed with butter on top.) 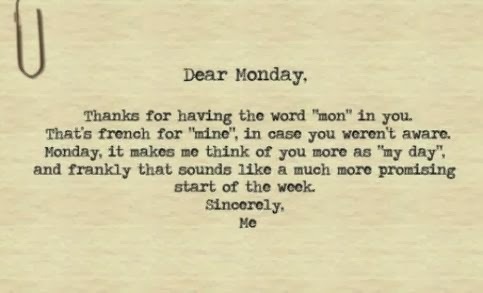 Ten minutes later I am putting a hot fresh muffin onto my plate, pouring another cup of coffee and sitting back onto the couch with my book in hand, taking in the delightful smell of banana bread. My oldest son comes downstairs with a delighted look on his face. He doesn't say it, but I know what he is thinking. "Yeah, I pretty much have the best mom ever. Did you save me a muffin?" Happy Sunday Folks. It is going to be a beautiful day. "Mom! What is for dinner?!?" Last night at 7 pm, this is what I heard. I like the days when I hear "Mom, how was your day?" But more often than not, the question relates to what my children will be eating within the next 30 minutes. Fresh fruits and vegetables are a dinner in my mind. Peel a banana, dip some fresh broccoli into a nice hummus dip and maybe eat a side of black beans. I think it is the perfect dinner. Easy, quick and best of all, healthy. The rest of my family does not agree with me. And so, as I try and be creative with meals and add variety that everyone can agree on, I sometimes take a Sunday and spend it preparing meals that I DON'T have to think about when I get home from work, other than taking it out of the freezer the morning of and heating it up for all to enjoy. 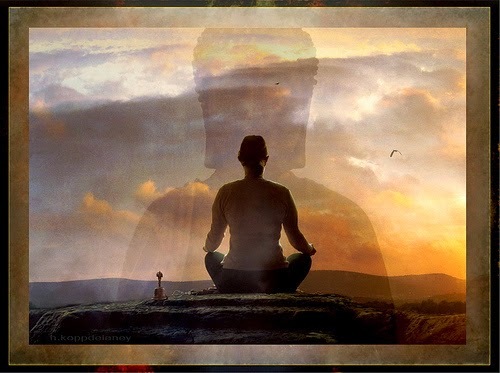 I had a friend ask me last week, "What situation do you find yourself in where you learn the most; meaning, what happens that makes you learn?" "When I fail" was my reply. And I thought about that. I accomplish the most right after I screw up, let others down or make a mistake that leaves me with regret. It is in those moments that I pick myself up and make an extra effort and a better attempt the second, third or fourth time around. I WANT to succeed, but sometimes take more than one try to make that happen. I look back at some of my greatest successes, and nearly all of them happened right after a major fail. This is my motto. Not that I am a physical risk taker, because I am not. I drive nice and slow and hold the steering wheel with two hands. But I am a risk taker with words, with ideas, with thoughts and emotions. Sometimes people very much dislike what I have to say or share. BUT more often than not, I am well received. I encourage everyone, whatever your challenge might be, to jump. Take that step and see what happens. If you fail, learn from it. If you don't and you accomplish something great, pat yourself on the back and look forward to the next big move. This coming Sunday is Super Bowl Sunday! I have two boys who don't like to watch football, except for Super Bowl Sunday. Why? Because their peer group seems to watch it and they'd like to participate in the conversations about the game the next day at school. And of course, food. They love to eat and watch T.V. On Super Bowl Sunday, my non-football loving family makes delicious snacks and we sit on the couch to eat, occationally commenting on the game. We talk about other interests, play a game or two of Angry Birds, look at our Facebook wall and laugh during the commercials. And then...we eat some more! Are you a Super Bowl lover or just a Super Bowl food lover like us? Our family likes a good dip. A good dip goes with just about anything. We make a warm vegetable dip for chips, guacamole and hummus dips for vegetables, and yogurt dips for fresh fruit. It really is the perfect Sunday. 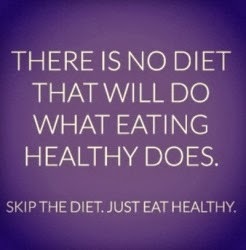 Have you ever had a conversation about what is in your diet with a friend or family member who is riding the wagon holding a banner of, "I've been eating healthy for a week now, so I am pretty much an expert" and regretted ever mentioning it to them? I have had the conversation, and have been guilty of holding the banner. This video brought back a lot of memories from my days of living in an area where it seemed that everyone around me was in some kind of competition of being the healthiest. I tried to compete. I failed. So I stopped the game and just played myself. I now just try to do MY best because at the end of the day, that's all I have. Fresh fruits and vegetables, whole grains, nuts and seeds. 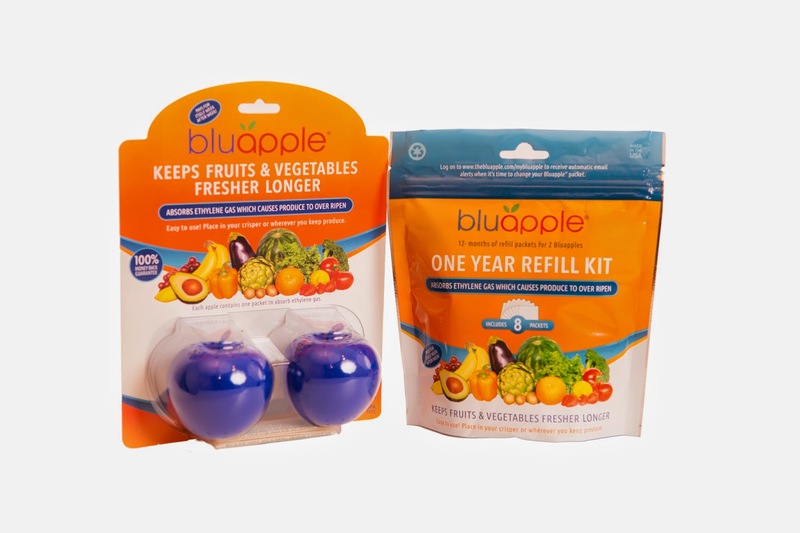 Keep the produce fresh with The Bluapple. Watch this video and have a good laugh. May your weekend be fantastic. Organization is a hard one for me. I tend to be one that can thrive in a mess. Except when it comes to the refrigerator. I like a neat and tidy cool area. I've been known to eat something just to have it gone so that it will look nicer when I open the door to my cool cave food keeper. Sad. I know. When cleaning out your refrigerator and throwing out rotten produce that you found stuffed in one of those thin plastic bags that has now turned into a slime fest, remember the Bluapple and the part it can play in freshness. There are three pillars to freshness: Temperature, Humidity and Ethylene Gas Control. -Humidity is both you and your refrigerator. Many have separate drawers with humidity control. Also, take your produce out of the bags upon arriving home. Not only do they make your produce so that they can't get breathe, but they hold in the ethylene gas that causes produce to ripen, causing them to ripen quicker than if they were out of the bag and had a Bluapple placed among them, absorbing the ethylene gas and allowing for a longer life. 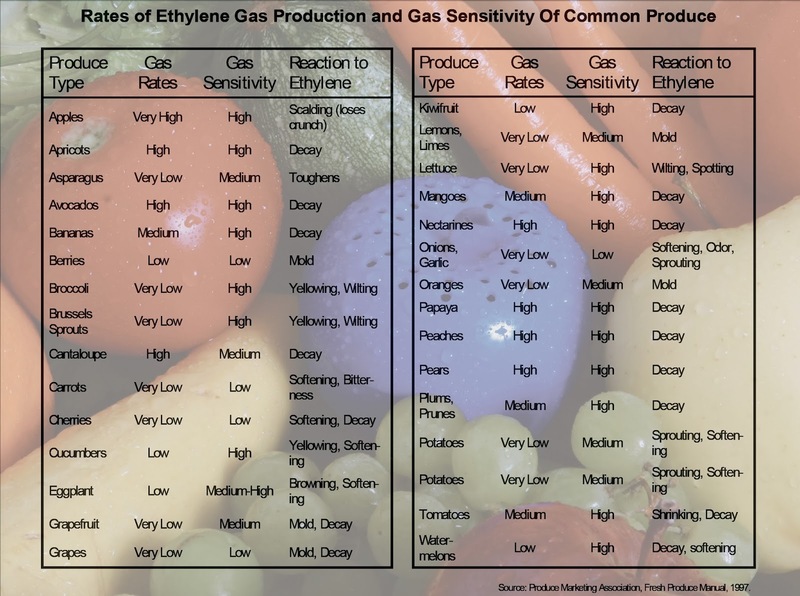 -Ethylene Gas Control, as mentioned above, is what allows for the produce to last longer. 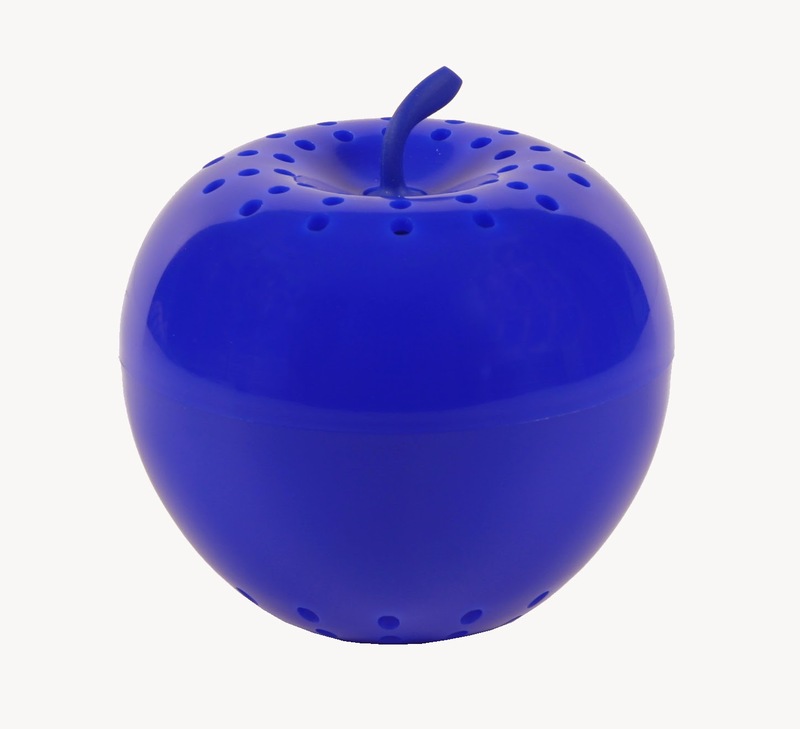 The Bluapple effectively absorbs the gas, which can save you money, time and is great for the environment.